Property owners who open their property to the public, along with those responsible for the care of the property such as property managers, are required to maintain the property in a reasonably safe condition. This means taking steps to prevent hazards from occurring, inspecting the premises regularly, promptly eliminating any hazardous conditions that occur and providing barriers and warning signs to keep people away until the danger is resolved. If a property owner or other responsible party does not keep the property reasonably safe and someone is injured, they can be held responsible for their negligence. For the best results, you should hire a Missouri personal injury attorney with many years of experience recovering damages for victims of falls caused by negligence. The attorneys at the St. Joseph law firm of Murphy, Taylor, Siemens & Elliott P.C. 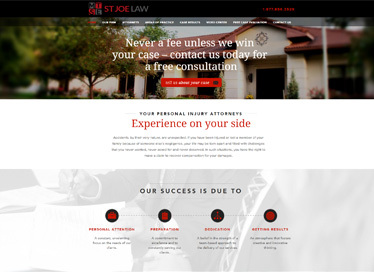 are a top choice; our partners have 100 years of combined legal experience and a reputation for obtaining full and fair compensation for fall victims. According to the U.S. Centers for Disease Control, around 8,000,000 non-fatal injuries and 24,000 deaths occur every year as a result of slip and fall accidents. The CDC also reports that falls are the leading cause of traumatic brain injuries, often causing death or cognitive impairments. Falls are responsible for more than 95 percent of hip fractures (CDC). US Department of Labor data shows that 15 percent of accidental workplace deaths are caused by slip, trip and fall accidents — second only to highway fatalities. More people are treated in emergency rooms because of falls than car accidents. The National Safety Council (NSC) reports nearly 9 million hospital visits every year are for fall-related injuries. In the workplace slips and falls cause more than 300,000 injuries per year (an average of one every two minutes). Falls are the second most common cause of deaths in the workplace. Fractures of the hand, forearm, upper arm, leg, hip, spine, and pelvis are the most frequent fall injuries. Slip, trip and fall accidents are a cause of many traumatic brain injuries, which cause nearly half of fall-related fatalities among older people. According to the CDC, one-third of the Americans over 65 suffer from a fall each year. For the skilled and aggressive pursuit of full and fair compensation for your fall injuries, call the offices of Murphy, Taylor, Siemens & Elliott P.C., in St. Joseph, Mo., to schedule a free consultation. You risk nothing because you pay us only if we succeed in obtaining money for you.